I came to Him broken, fearful, and weary. I listened to His promises, hopeful but leery. How could I trust Someone I couldn’t see? How could the King of Kings love someone like me? I leaned in to hear Him, scouring through His Word. Begging for answers, I longed to be heard. Why would God’s Son die so I could be free? Why would He care about someone like me? I came to Him hungry, empty, with scars. Longing for love, my heart locked behind bars. Christ took my place on the cross . . . loving me? Jesus, my Savior, He died in my place. He rose three days later and saved me by grace. How can I submit if I’m supposed to be free? How can I resist . . . if He lives just for me? Come to Him broken, fearful, or weary. He can be trusted, no need to be leery. 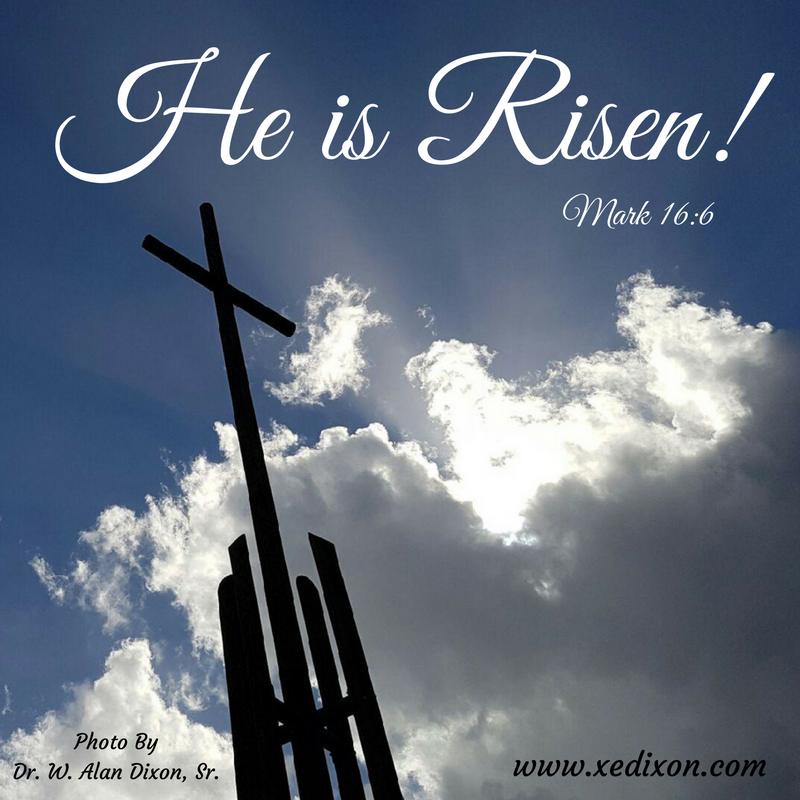 know the Risen King loves you . . . just like He loves me. Photo taken and used with permission by my husband, Dr. W. Alan Dixon, Sr.
Meme created by Xochitl E. Dixon. This entry was posted in Encouragement and tagged Christian Poetry, Loving Our Loving God, Trusting God by Xochi E. Dixon. Bookmark the permalink. Pure truth. Thank you for sharing. Thanks for the encouragement, Colleen. I’m grateful for your partnership in sharing the Gospel, Sister! Thanks, Sister! To God be the glory!